The legend of the Wrangler has traveled far and wide, and in 2019, this SUV has been larger than life itself. Everyone knows about the off-roading capabilities that come with this vehicle, and the iconic styling can't be ignored or missed. The Wrangler was redesigned in the 2018 model year, and in 2019, the Wrangler adds a few new features, while sticking close to the look that added a new sense of excitement to this SUV. Forward collision warning and adaptive cruise control are now available with the 2019 Jeep Wrangler! This goes to show just how serious Jeep has been about making these vehicles just as good on the road as they are off of it. Off-roading capabilities will always be at the forefront of the design, but commuting is another major aspect of owning a car, and Jeep is dedicated to hitting the perfect balance. 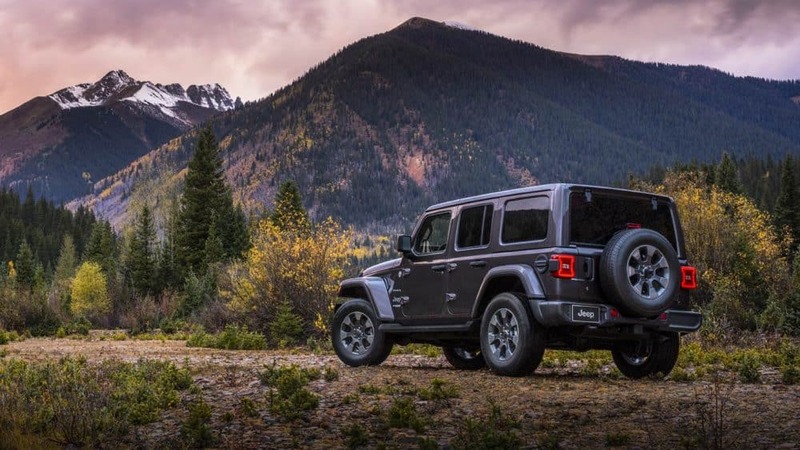 If you're looking for an SUV that checks all of your boxes and doesn't leave you compromising, then you need the 2019 Jeep Wrangler. What safety features will I find? Safety should never be overlooked, even in a vehicle like the Wrangler where adventure always wins out. 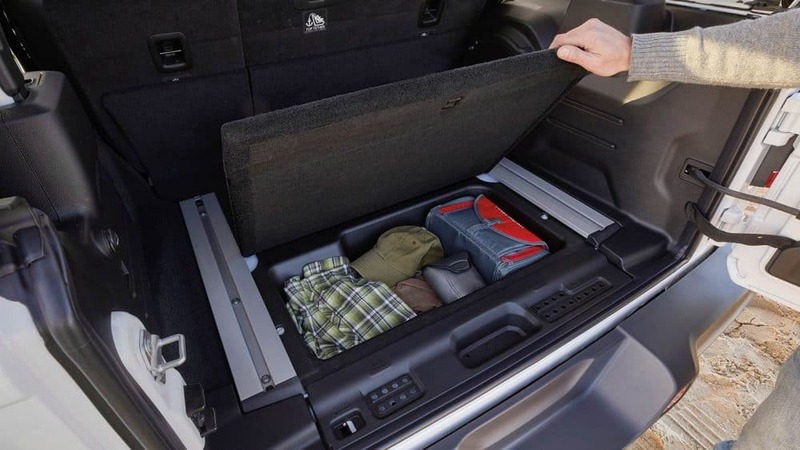 Jeep has loaded up the 2019 Wrangler with the latest in safety technology, including the available Advanced Safety Group package. This package includes full-speed forward collision with active braking, enhanced adaptive cruise control (with manual transmission), and adaptive cruise control (with automatic transmission). Other safety features include a ParkView rear backup camera, a ParkSense rear park assist system, blind-spot monitoring, rear cross path detection, trailer sway control, a tire pressure monitoring system, and an advanced front and side airbag system. What trim options come with this SUV? The Wrangler shines in every aspect, but especially when it comes to giving you the best trim options out there. But before you choose a trim, you'll have to pick a configuration. You get to choose between the two-door body style, or the four-door which is known as Unlimited. Both trims come with Sport, Sport S, and Rubicon as options. The Unlimited configuration also is available in Sahara and Moab. The base model Sport comes standard with features like a rearview camera, an auxiliary audio jack, a 5-inch touchscreen display with Uconnect, Bluetooth, a USB port, an 8-speaker sound system, removable full metal doors, crank windows, a height-adjustable driver's seat, a one-piece folding rear seat, skid plates, fog lights, 17-inch steel wheels, cruise control, a driver information display, manual mirrors and locks, and a tilt-and-telescoping steering wheel. The Sahara, which only comes with the Unlimited, adds features like automatic headlights, 18-inch alloy wheels, automatic climate control, painted exterior body panels and trim, a 115-volt outlet, Android Auto and Apple CarPlay, an additional USB port, upgraded brakes, satellite radio, and a 7-inch touchscreen. The highest trim option Rubicon comes with features like an electronically disconnecting front roll bar, a heavy-duty Dana M210 front axle, upgraded cloth upholstery, an additional USB port, special off-road tires, and a steel front bumper. It would be impossible to talk about the Wrangler without discussing the power that goes behind keeping this machine going. In 2019 you'll find two engine options. The first of these is a 3.6-liter V6, which can give you up to 260 pound-feet of torque and 285 horsepower. You can get this engine with either a six-speed manual transmission or an 8-speed automatic transmission. The other available engine is the turbocharged 2.0-liter inline-4, which can pump out around 295 lb-ft of torque and 268 horsepower. This option comes standard with an eight-speed automatic transmission. The four-wheel drive system includes the Rubicon's Rock-Trac 2-speed transfer case, the Selec-Trac 2-speed transfer case with full-time 4WD, and the Command-Trac part-timed 2-speed transfer case. Your latest adventure is out there, and it's with the 2019 Jeep Wrangler! This SUV can conquer the trails, the long commutes home, and those quick stops to pick up your favorite ice cream. You can throw anything you want at this SUV, and it will never falter. Stop by our dealership today and schedule a test drive!